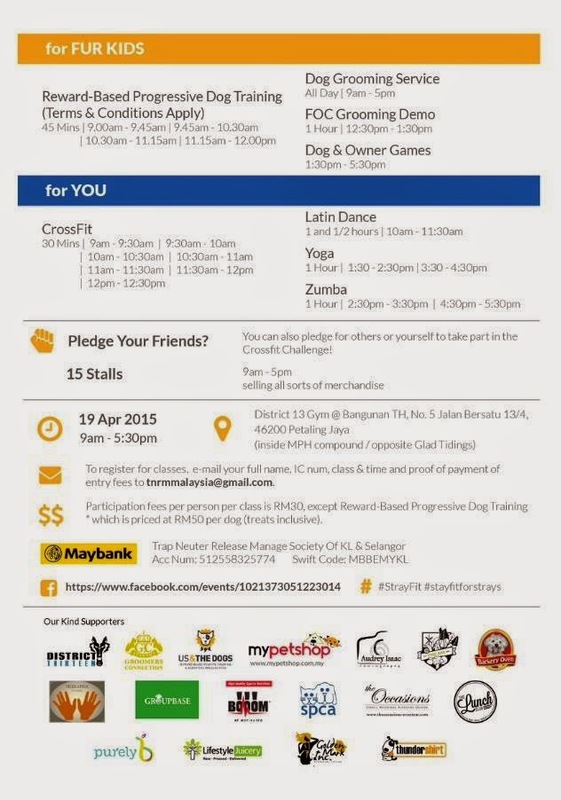 THUNDERDOGS WILL BE AT STRAY FIT ON 19 APRIL 2015!!! STRAYFIT on 19 April 2015. We will be at Booth No 12. 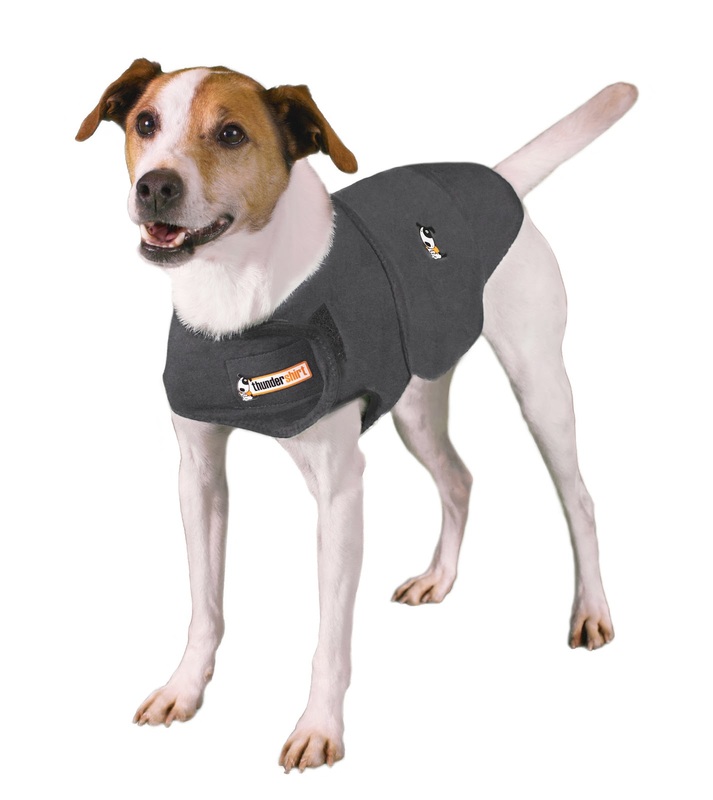 Pop by to get your dog his/her very own Thundershirt. 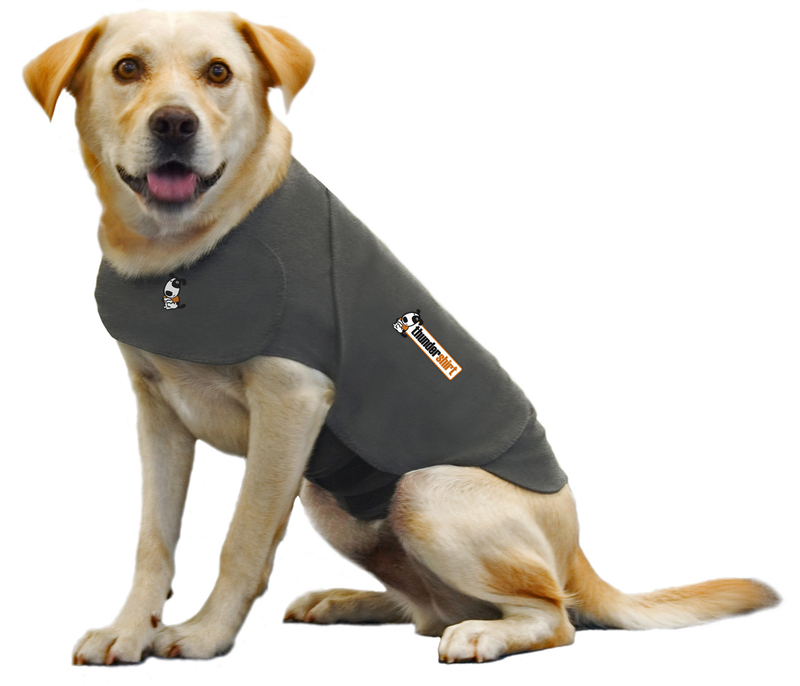 We will be on hand to help with fittings and advice on how best to use the Thundershirt. In the mean time, please check out our sizing guide page for the sizes that are available. We will also have Thundertoys, toys by Kong, collars and harnesses by Ruffwear (all of which are imported directly from the US) that can be used in conjunction with the Thundershirt. There will be a CrossFit Challenge (12 pax per session), Yoga (20 pax per session), Latin Dance (20 pax per session) and Zumba (20 pax per session) classes for everyone, as well as Reward-Based Progressive Dog Training* (5 owner and dog pairs per session) and Pet Grooming Demo sessions. There will also be FUN games like fastest eating duo, obstacle courses and a sprint race for owners and their furkids! Entry fee for each game is RM30 per dog. There will be prizes to be won as well! There will also be about 15 stalls selling all sorts of merchandise. Event is from 9am to 5.30pm on Sunday 19th April 2015. PARTICIPATION FEES per person per class is RM30, except Reward-Based Progressive Dog Training* which is priced at RM50 per dog (treats inclusive). TO REGISTER for classes, please refer to the schedule in our posts and e-mail your full name, I/C number, preferred class, time slot and proof of payment of entry fees to tnrmmalaysia@gmail.com (bank details below). You will not be registered if payment has not been made. "I invite you to join us in our District 13-TNRM Crossfit Challenge on Sunday 19th April 2015 @ District 13 Gym, Bangunan TH, No. 5, Jalan Bersatu 13/4, 46200 Petaling Jaya. 100% of all pledges and proceeds will go to TNRM (Trap Neuter Release Manage Malaysia)". For more info on TNRM, check out their FB page http://www.facebook.com/pages/Trap-Neuter-Release-Manage-TNRM-Malaysia/403709439694040 and Instagram account username "tnrmmalaysia". For CrossFitters: Move as much weight (in Kgs) using a loaded barbell from the ground to over head in 4 minutes. Participant will donate RM0.25/kg - RM2/kg. e.g Matt moves 600kg at a pledged rate of RM0.5/kg. His total donation is RM300. Beginners: Complete as many reps of Wallballs (squatting with medicine ball and throwing it above head to a marked line) in 4 minutes. Participant will donate RM2 for every repetition successfully thrown. e.g Leonie completes 40 reps in 4 minutes @ RM2/Rep. Her total donation is RM80. If you do not wish to participate you can still get involved by pledging others (who do the challenge). Participants are highly encouraged to find friends and family to pledge money towards their workout. e.g. Matt finds 10 friends to pledge money towards his challenge. He raises RM3k (10 x RM300) based on earlier example. Hope to see you there in your workout gear! 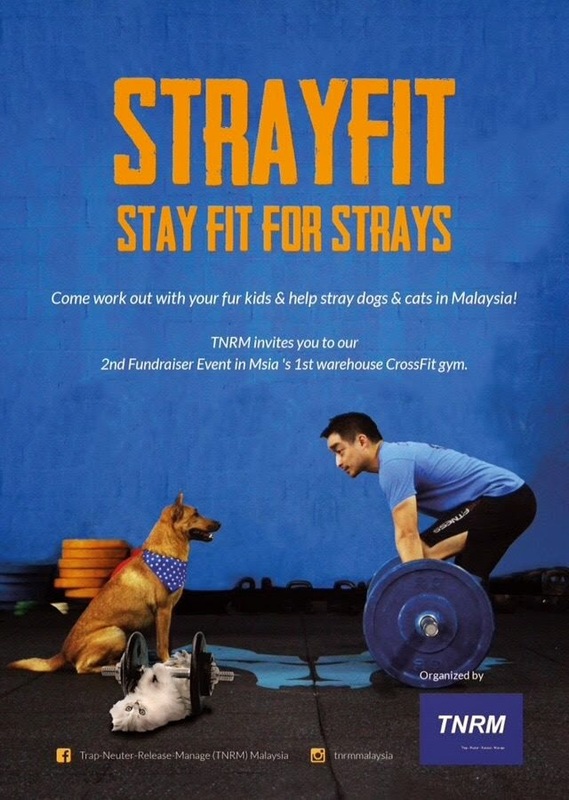 #StrayFit #stayfitforstrays"
100% of all pledges and proceeds will go to TNRM. FYI, this is a pet-friendly event (limited to designated areas only) but owners are fully responsible for their own pets and must keep pets leashed at all times and clean up after their pets. Treats for training will be provided. If your dog is allergic to wheat, fish, soy, chicken or eggs, please bring along his/her favorite treats (equivalent to a meal) cut into thumb size or pinky-sized pieces, please adjust accordingly to dog size). The trainer reserves all right to reject any participant deemed unfit for the class. Disclaimer: Please note that all details of the event are subject to change without prior notice. TNRM holds no responsibility whatsoever for any damages, injuries, loss and/or death that occurs during the event. We hope that all of you had a good New Year and Chinese New Year celebrations and that the fireworks didn't bother your dogs too much as they should have been wrapped up snugly in their Thundershirts. Anyway, Thunderdogs Malaysia would like to thank everyone for their support over the last couple of years. 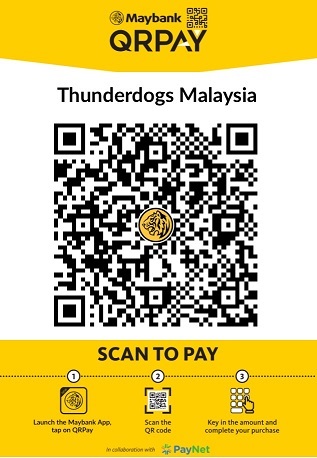 We have tried to maintain the prices of the Thundershirt as low as possible, but unfortunately due to the falling ringgit as well as increased shipping costs, we will now have to revise our prices slightly. The new prices will be effective 1 April 2015 onwards. All orders received before this date will still be at the old prices even if we run out of the old stocks. Heather Grey Thundershirts will be RM175 for all sizes. Blue Polo/Pink Polo will be RM200 for all sizes. Prices include shipping via PosLaju. 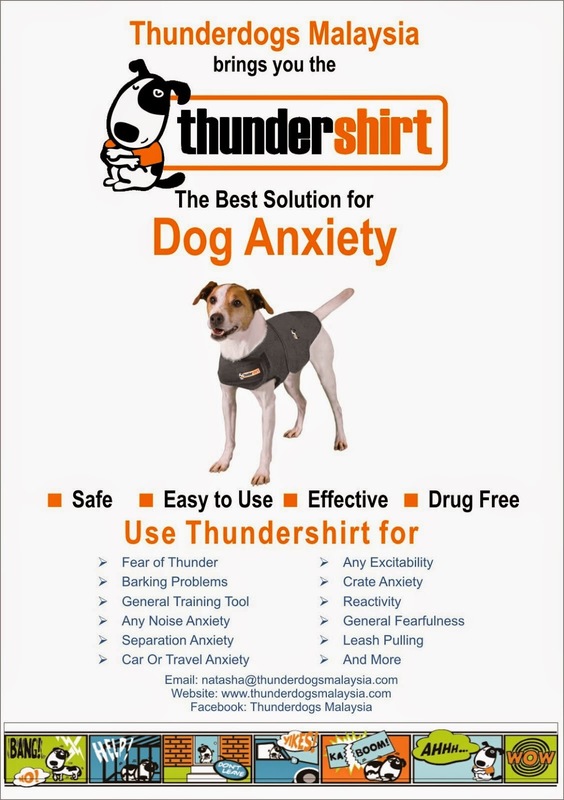 Thank you for your continued support and we hope that we can help more dogs overcome their fears and anxieties with the Thundershirt. Payment information will be sent to you, and your items will be put in the post within 7 working days of receipt of payment. Please ensure that there will be someone to collect the items at the address provided as your items will be sent via PosLaju. Copyright Thunderdogs Malaysia 2012. Simple theme. Powered by Blogger.